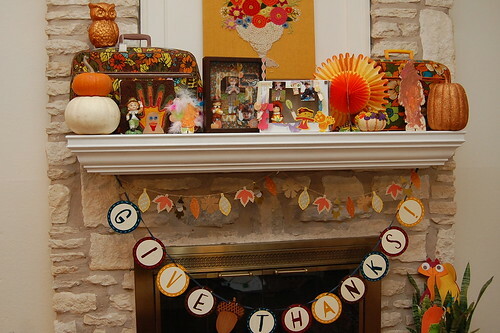 I love me a seasonal picture frame. Have I said that before? 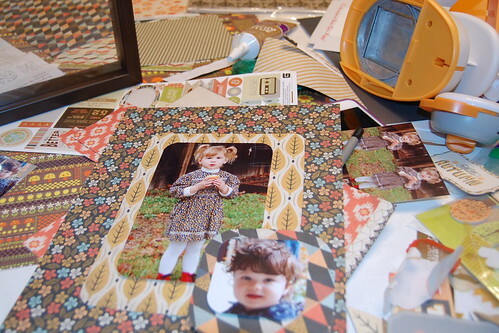 Anyway I also love me scrapbooking. Man I sound old. Anyway, all that being said Thanksgiving picture frames are far and few between so I grabbed a stack of scrapbooking paper and took matters into my own hands. 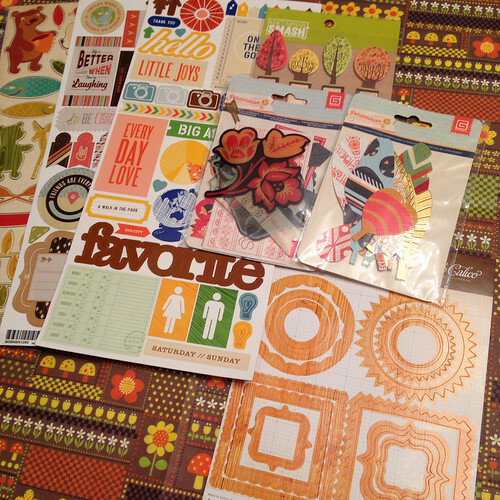 First I went through my stash of scrapping supplies and pulled out some things in fall colors. In the end I decided to use the Persimmon collection from Basic Grey. How you place your pictures and paper is totally up to you. 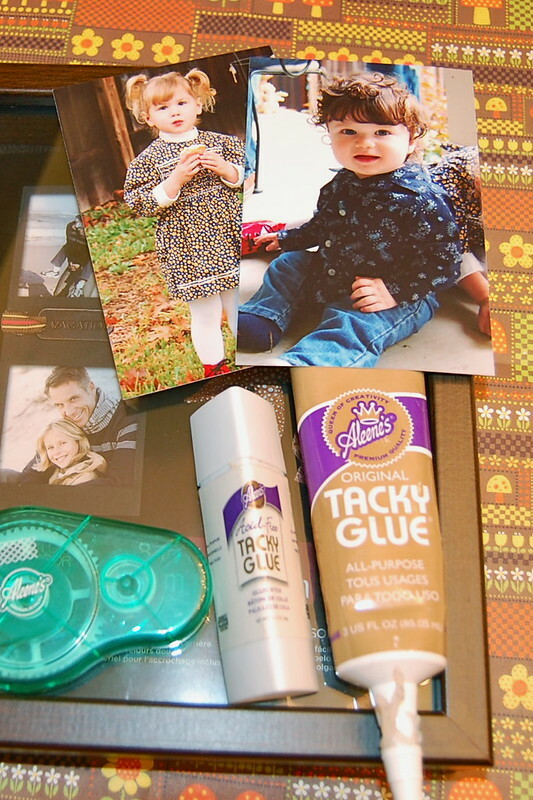 I used various Tacky Glue products like dots, glue sticks and plain old fashioned glue. 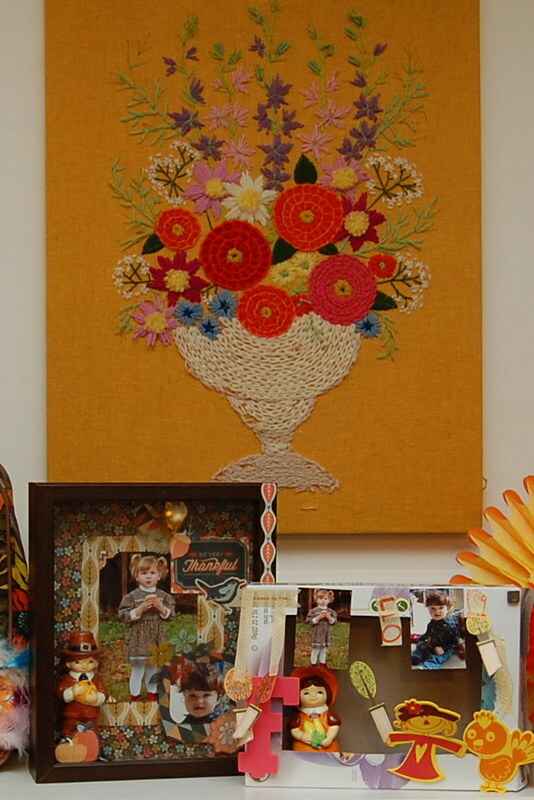 The fun part about shadow boxes is giving your projects dimension. 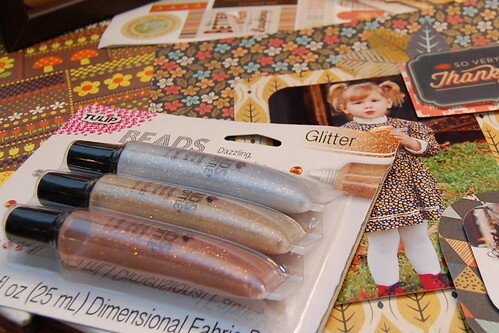 I decided to bust out the Beads in the Bottle for a little gold glitter embellishment action. 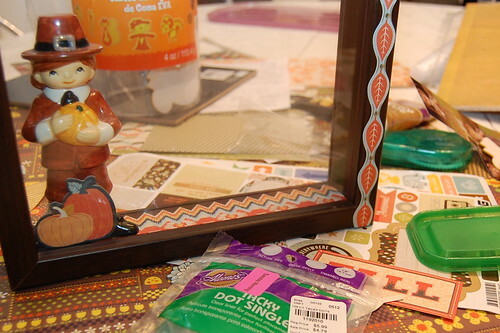 I used my Beads in a Bottle to embellish my pilgrims's hats, the insides of flowers and even the washi tape like trim on the outside of the shadowbox. 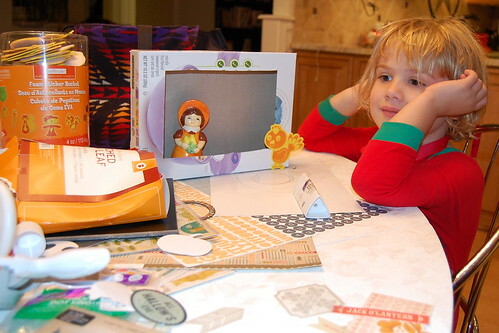 Did I mention that my daughter Tallulah is my crafty co-pilot on most projects. 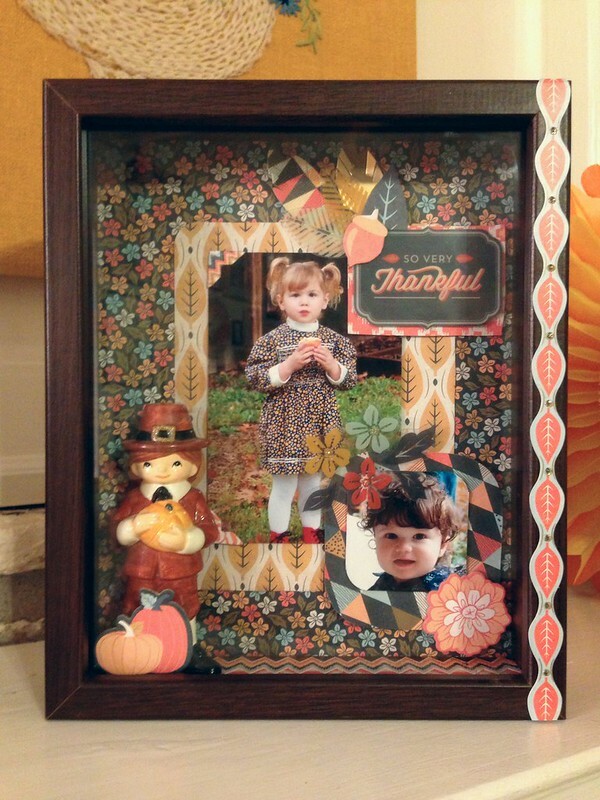 She requested her own shadow box so I cut up a cereal box. She then accosted my pilgrim's girlfriend. Ta-da! I love the way my shadowbox turned out. These are my favorite fall pictures of the kids. My mantle is now complete. 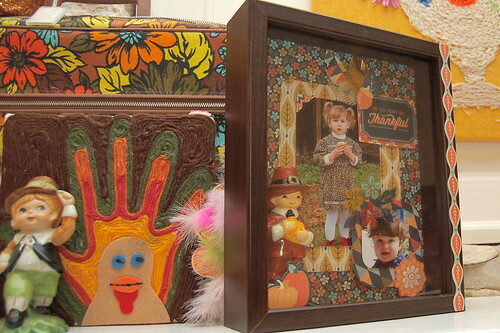 Tallulah's shadowbox came out equally fabulous. If not more so. I like the information I get from your presentation wonderful write – up. Keep up the good work and have a nice day. Cheers!